Can Einstein’s Energy Theory Be Applied To Our Human Capital? Home/Egalitarian Leadership, Leadership/Can Einstein’s Energy Theory Be Applied To Our Human Capital? The other day I ran across one of Albert Einstein’s quotes, “Energy cannot be created or destroyed, it can only be changed from one form to another.” I immediately started to think about how this might apply to organizations and the people who work in them. Every company, non-profit entity and governmental agency is fueled by what is currently being called, “human capital” – people. If it is the workers who are the source of energy in business, does Einstein’s idea still hold true? Can it not be destroyed? Can it only take on different forms? How can this knowledge help leaders? I’m sure there are many ways we could take this analogy, and have invigorating discussion with it, so let me start with three concepts. In searching the internet about Einstein’s thought, I found this interesting excerpt in a Scientific American article about the idea of energy never being destroyed – just changing forms. Sparks create a fire, which generates heat. Picture a scenario where tapping into an employee’s imagination, or brainstorming as a team, sparks a passion resulting in a product, program or solution that you have long wanted. The human brain and heart, when given an ear and encouragement, can produce “heat”. If we don’t give an outlet for these innovative ideas, they fester or go dormant within the individual, leaving the organization with a missed opportunity. The energy waits. A battery produces power. Think of a Plan … filled with specific objectives, actions, details … everything you need to achieve an important goal, to make a difference, to bring about significant results. That’s power! People put together plans with their ideas, their knowledge, their skills. We see energy changing forms – from a document compactly storing the execution details to the realization of an accomplishment. A nuclear bomb creates an explosion. Imagine a major reorganization, a merger, an executive shake-up … anything that jolts the organization in a big way. Everyone reacts, many strongly. Communication erupts and bursts throughout, rippling from division to division. The human energy doesn’t go away, it changes. I believe the energy of an organization resides in its people … all of them, at every level. The harnessing of this energy, helping it change forms in positive ways brings extraordinary success. But when we ignore that energy, when we stifle that energy by not listening, not valuing each individual, not caring … the energy is still transformed, but not in productive ways. An environment of organizational indifference, and sometimes resentment is generated. And it spreads. Egalitarian managers, people who believe in mutual respect at every level, and who tap into the energy of their workers, ensure this power is channeled in constructive ways. Energy doesn’t get destroyed, it just changes forms. 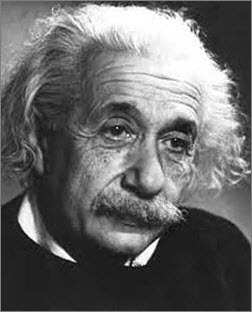 By lindakeefe|2017-05-08T03:09:45+00:00January 20th, 2016|Egalitarian Leadership, Leadership|Comments Off on Can Einstein’s Energy Theory Be Applied To Our Human Capital? Helping individuals and organizations achieve faster success by executing their vision.